Social scientists often use human perceptions in both qualitative and quantitative research on conservation, resource management, and sustainability. However, perceptions are also often dismissed as unreliable and anecdotal by those arguing for evidence-based decision-making. In this talk, I will define perceptions, discuss the strengths and limitations of using perceptions, explore how perceptions can be studied, and examine the types of insights that perceptions can provide to inform environmental decision-making and management. I will then draw on results from a recent survey of small-scale fishers in 11 marine protected areas from 6 countries in the northern Mediterranean Sea to show how perceptions of governance, social impacts, and ecological effectiveness are related to levels of support for conservation. In short, this talk will show that perceptions are an important form of social science evidence that can inform and improve decisions across different environmental policy realms. Nathan Bennett is currently cross-appointed as a Research Associate with the OceanCanada Partnership at the University of British Columbia (Canada) and the Université Côte d’Azur (France). As a broadly trained social scientist, he chooses to primarily focus on research projects that interrogate various aspects of the complex relationship between the marine environment and human society. He conducts research and publishes on such topics as social equity and governance in marine protected areas, responses of small-scale fishing communities to combined environmental and social change, indigenous perspectives on and approaches to conservation, the political dimensions of marine planning and ocean governance, coastal community access to marine resources and fisheries, the human dimensions of large-scale marine protected areas and the role of the social sciences in conservation. His work focuses on Canada, Thailand, Mexico, Europe, and the global oceans. 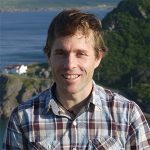 Prior to coming to UBC, Nathan Bennett graduated from the University of Victoria with a PhD in Geography from the University of Victoria in 2013, a MS in Environmental Studies from Lakehead University in 2009 and a BEd from the University of Victoria in 2002. His work has been supported by a SSHRC Doctoral Fellowship (2010-2013), a Trudeau Doctoral Scholarship (2010-2013), a SSHRC Postdoctoral Fellowship (2013-2015), a Fulbright Visiting Scholar Award (2015), a Banting Postdoctoral Fellowship (2015-2017), and a Liber Ero Postdoctoral Fellowship (2015-2017). He is also an active member of the Commission on Ecological, Economic and Social Policy (CEESP) and the World Commission on Protected Areas (WCPA) of the International Union for the Conservation of Nature (IUCN) and is also affiliated with the Center for Ocean Solutions (Stanford), the Community Conservation Research Network, and the Too Big To Ignore project.